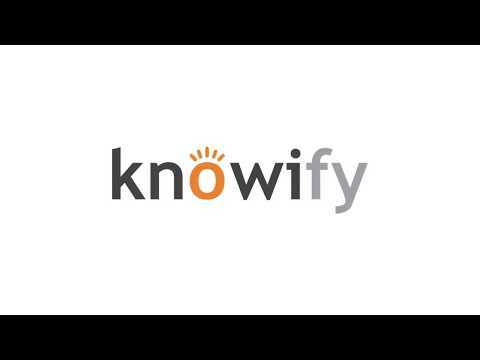 Knowify is a cloud-based, all-in-one construction management and job costing solution designed for trade contractors and small to midsize commercial subs. Budget, bid, track and invoice all in the same place. Know­ify is a web plat­form avail­able 24×7 via your web browser. Whether you do your busi­ness at home or all over the world, Know­ify will be there for you. Knowify is designed around tightly integrated modules covering each of the major administrative areas. This integration dramatically increases efficiency and reduces error. Knowify was founded in 2012 based on the premise that it was time for the business management technology revolution to reach contracting businesses. Our aim is to streamline and simplify many of the frustrating aspects of running a small or medium contracting business, leaving you and your employees freer to focus on serving your customers. We have specialized on contractors and professional services to build a unique platform that will save you time and money. Create professional service agreements with classic time-based or fixed price billing in minutes, and send them out for signature via Knowify's built-in signature tools. For more complex contracts or estimates, create comprehensive custom service agreements with Knowify's Service Agreement builder. Use Knowify's powerful Project Management tools to create and track projects, including integrated project and task management, document upload, billing and cost oversight, Gantt charts, and more. This module can also be used to track internal projects and budgets, giving you enhanced visibility on your internal activities and spending. Build professional invoices at your agreed-upon rates in moments with Knowify's Invoice Builder, then use Manage Receivables to track the status of your outstanding invoices. Knowify will radically simplify your billing, and free you up to spend more time serving your clients. Your team members can use either a computer or a mobile device to track their time and submit it for billing. If you wish to have an additional layer of control in place before time is billed to clients, you can use Knowify's built-in time review and approval feature. Knowify also seamlessly syncs with Fundbox to get you a line of credit, PaySimple to speed up payment processes, and Zapier to connect you to your favorite apps. Contracts & Estimates Fixed and variable rates Project Management Job Costing Profitability Analysis Task Prioritization Invoices Resource Scheduler. Purchasing and Expenses. Time Tracking. QuickBooks 2-way Synching. Accountant's View. Reporting (with time and project reports). iOS and Android App. Personalized PDF Outputs. Export to Spreadsheet. Customized Privileges. Personalized Setup and Customization. Comprehensive In-App and Phone Support. Email Notifications and Alerts.